10 Things you need to know to be a mixed martial arts fighter part 8: How to control your mind and emotions before and during the fight. Everyone knows that the Mixed Martial Arts Craze is taking over America and everyone wants to be a part of the craze. The problem is that 99% of the Martial Arts Schools in America can’t teach you all you need to know to become a great MMA fighter. Why? Because the teachers don’t know all the skills necessary to become a great MMA fighter and so they only teach a little of the skills required and thus they only produce very poor MMA fighters. So what exactly are the skills you need to know to be a great MMA FIGHTER? 7. How to get sponsors for free equipment, clothes and money. 10. How to win the fight. During the next few weeks I will be going over each of these skill sets and how and why you need to know them if you want to be a great MMA fighter. The 8th skill set you need to know to become a great mixed martial arts fighter is how to control your mind and emotions before and during the fight. If you want to be a great MMA fighter you need to have complete control of your mind and emotions before and during the fight. There are no exceptions to this rule. You might win a fight because you became so excited you just went nuts and started punching, kicking, elbowing, screaming, etc. But you will not win with a World Title without having control of your mind and your emotions. One of the first problems that most beginning MMA fighters have is controlling their minds and emotions before and during the fight. They get too nervous, too excited, they don’t train right. They can’ sleep, can’t eat and can’t perform at their best due to their poor mental conditioning and control of your emotions. It is that way in the MMA World and it is that way in the Real World. You have got to learn to be calm, and remain calm cool and collected to do and be your best. Look at Tiger Woods on the PGA tour. He wins the most for 2 reasons; his mind and his emotions are always under control. He doesn’t win the most because he is the better player (which he is). He wins the most because he is the “smarter” more “in control” player on the tour. He wins with his mind as much as he wins with his skills. The same thing applies to the MMA fighter. You must learn to control your mind and to control your emotions. How do you learn that this? I believe there are 3 ways; meditation, breathing and practicing wining techniques. 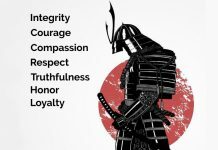 From the first day I began my Martial Arts Training over 45 years ago I have practiced these 3 things daily. There is not a day that goes by that I do not practice some form of meditation, breathing or winning technique. Please let me explain. By meditation I mean sitting down and concentrating your mind to a specific thought, idea, technique, or condition. I sit on the floor, or I can do it walking or jogging, and I clear my mind and focus only on a specific thought or technique. I visualize the technique in my mind over and over and see myself doing the technique with precision and power. 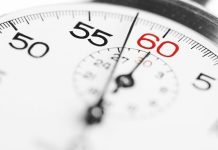 I also practice Oriental mediation techniques (please understand I that I am Christian and follower of Jesus Christ…I do not practice anything in my meditations that is not Christian), but I do sit and meditate on a single number, word, or sound. I relax, follow my breath and try to completely clear my mind of any an all other thoughts. I always teach my students to relax their minds with meditation at the end of class and I believe that as a World Class MMA fighter you need to know some meditation techniques. I have an excellent book on it. Oriental Philosophy. Email and I will send you a copy. The second way to control your mind is by following breathing techniques. I use specific techniques while fighting, walking, jogging or sitting. I follow my breath and I control my breathing. It is Vital that in a fight you control your breathing. For your mind to remain calm, your breath must remain calm. If you lose control of your breathing you lose control of your muscles and you lose control of your mind. Your mind is controlled by your breath. It is the singularly the most important aspect of you being alive right now. Food, water, health, is important, but if you stop breathing you die within 30 seconds. You can go without eating for weeks, water for days, but you die if you don’t get fresh breath in a few minutes. When you deprive your mind of proper breath, you lose control of your mind and that means you lose control of your muscles and fighting techniques and you lose control of the fight. When a fighter is not conditioned properly and runs out of breath (get’s winded). They lose control of their mind and muscles and they lose the fight. The third way to control your mind and emotions is with proper training techniques. If you practice right you will fight right. If you practice to win, and know your techniques will work in a fight, you will be calm, cool and collected and you will win 90% of most fights. If you practice stupid moves that look good, but don’t work in a real fight, you will lose your mental confidence, lose your emotional control and lose the fight. In my series of articles on 10 Things I learned from Royce Gracie I talk about Master Gracie’s extreme calm and confidence during and before a fight, because he knows that the techniques he is going to use work in a real fight. He is confident relaxed and assured of his fight and his success because he practices all 3 things to control his mind and emotions; meditation, breathing and practicing winning techniques. You can do it too! 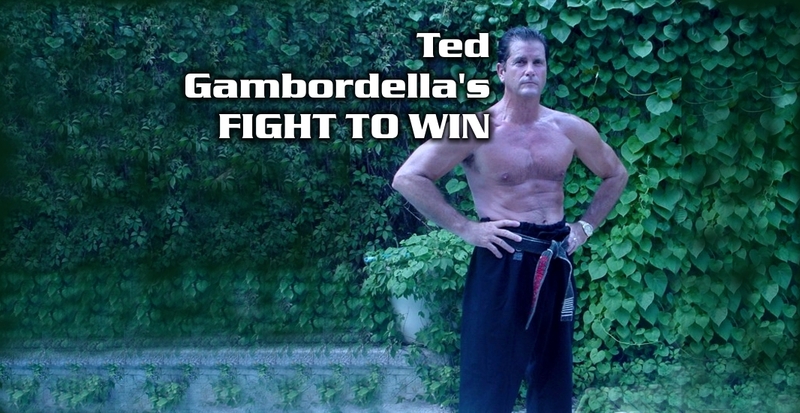 Ted Gambordella has written 38 books and produced dozens of videos. 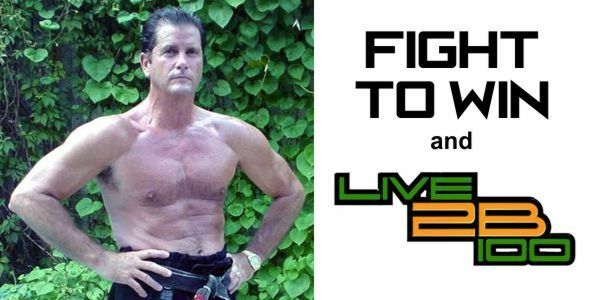 He is one of the first martial artists to show how techniques from the martial arts can be used in activities outside of the martial arts. His book The End of Injury shows athletes how to prevent needless injuries by using proven martial arts techniques.